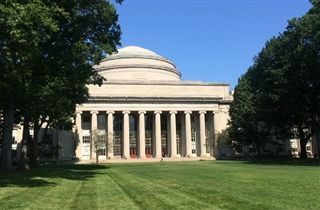 In order to keep on top of the latest trends in college admissions, KCD college counselors Danny Easley and Dary Picken traveled to Boston recently to attend the annual conference of the National Association for College Admission Counseling. The conference allowed our counselors to keep informed about current issues in standardized testing, recommendation letters, counseling student athletes, and helping students build appropriate college lists. In addition, Mr. Easley and Mr. Picken took the opportunity to visit a number of schools in Boston and western Massachusetts, including Amherst, Clark University, College of the Holy Cross, Hampshire College, Harvard, MIT, Northeastern, Smith, and UMass-Amherst. According to Mr. Easley, these visits allow counselors to learn more about a school’s academic offerings, facilities, and campus culture, which in turn allows them to better counsel students on ‘best fit’ schools.